Getting support plays an essential role in overcoming depression. 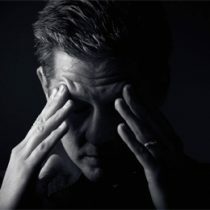 On your own, it can be difficult to maintain a healthy perspective and sustain the effort required to beat depression. Look for support from people who make you feel safe and cared for. The person you talk to doesn’t have to be able to fix you; they just need to be a good listener—someone who’ll listen attentively and compassionately without being distracted or judging you.